Food Grade Drum 200 L.
Our wild flower honey is derived from a variety of wild flowers and plants, blooming in Thailand’s tropical rainforest. This golden honey provides mild flavor with pleasant aroma. 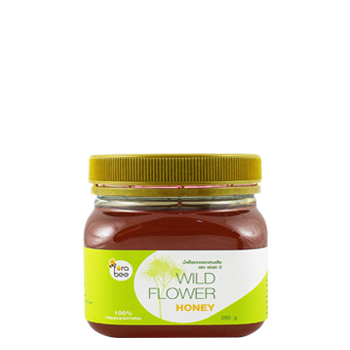 Rich in vitamins and minerals, this honey is beneficial for people of all ages. Take 1 teaspoon of honey straight from the bottle daily. Spread on the bread, mix into your drinks, use it in cooking or add to your dessert for delicate flavor.